The Denise Kitchen Bar Stool in White is a mid-back height-adjustable kitchen bar stool with a PU leather padded seat and chromed steel frame. The stylish and elegant design of this bar stool makes it perfect for a trendy and sophisticated look. Feedback of my bar stools purchase. Excellent experience and great product, and a more than competitive price. Would have no problem recommending Just Bar Stools to friends and family. Thank you for this wonderful feedback. 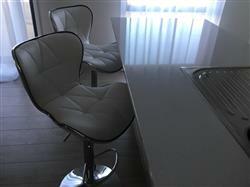 I must say that the stool/chair suits your kitchen perfectly. Cheers, Julie! Customer service is great since we have the best customers! 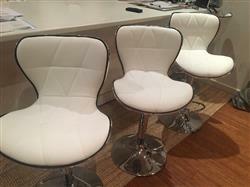 Glad to hear you were happy with our service and satisfied with the quality of the stools. Cheers! Very good service and shipping time. All the stools arrived new and in good condition. The stools themselves were fairly easy to put together. I found the price was better than the stores. Great buy. Please rest assured that we will continue to provide diverse range of quality products at a competitive price. Thank you Kathy, for the stellar review! Fabulous. Quick delivery. They look beautiful and are very comfy!! Excellent customer service. One of the eight stools delivered was damaged. 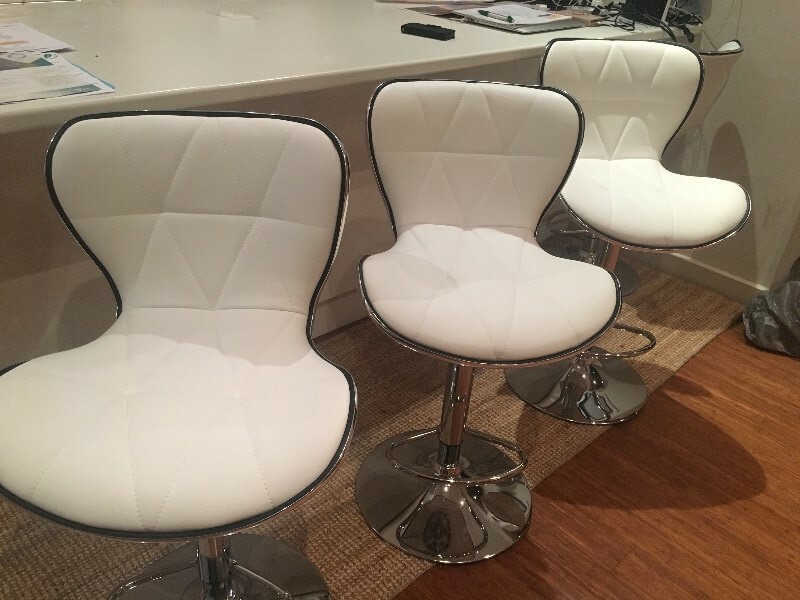 Just Bar Stools after Sales service was quick to replace the stool and kept me informed regularly until it was delivered to my home. Customer service is great since we have the best customers! Thank you for your patience and understanding on this matter and for giving us the opportunity to make it right for you Christine.